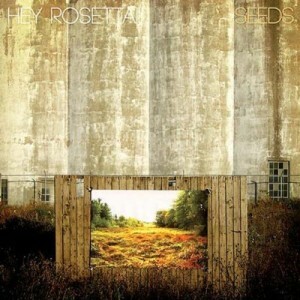 ALBUM REVIEW: “Seeds” by Hey Rosetta! If I’m a sucker for a great rock sound with fancy-pants strings and piano splashed in, then I guess that makes me a sucker for Hey Rosetta! and their latest album,Â Seeds. The Canadian six-piece indie rockers have a quite polished sound on Seeds, and while that isn’t always a compliment, it is in this case. Front man Tim Baker’s vocal style is decidedly mature with a slight vibrato that ups the emotional feel. This combined with a standard 4-piece rock ensemble and a violin and cello make for a sound that’s somewhat reminiscent of Airborne Toxic Event or Arcade Fire, but really being all Hey Rosetta!. With two studio albums under their belt,Â Seeds is the result of a band that clearly knows what they’re doing. Hummable melody, somewhat folky with an indie rock backbone, the powerful title track, “Seeds” is a great introduction to what is Hey Rosetta!. My favorite track though, has got to be (yes, this is the whole title of the track) “Parson Brown (Upirngaangutuq Iqualunni)” and while the name makes me scratch my head, the gentle string build-up that culminates in a raw guitar noise explosion makes this 5-minute 14-second track really stand out. In all, I really dig Hey Rosetta!’s newest, and you will too.